Good plastic wrap...Just what I was looking for. Love this large amount, you won't run out for years. Lasts a long time. My last order lasted 3 yrs. I am using a roll now and will be re-ordering soon. Love the way you canspread it over the top and then stretch it to seal it. Finally a plastic wrap that works! Stretch-Tite is the ONLY plastic wrap I have found that does exactly what it's suppose to do. I can no longer find it in my grocery store and am delighted to finally be able to purchase it through Miles Kimball. This is the best stretch wrap that I have been able to find in years. I've been buying it from Miles Kimball for several years. Mainly on leftovers & prepackaging before freezing. This wrap will stick to anything, including plastic, but doesn't stick to itself. There are other brands out there but they don't work as well as this brand. I am so afraid it will be discontinued that I buy 2 at a time. Lasts forever. I used to have a fit every time I tried to tear saran/handi wrap off the roll - then another fit when it wadded up on itself and took forever to get unfolded and over the bowl. Stretch-tite cuts off so easily and if a bit sticks to itself it's not a fight to get it unfolded. Anything that saves me time and works WELL is worth the price. The long, long roll lasts about a year! In fact everyone on our Christmas list is getting a roll as one of their Christmas presents. What better gift than to save someone some TIME???? Just have to be sure that the cut edge doesn't flip down on unused roll or it can be a job getting it apart. Will buy this product over & over again! 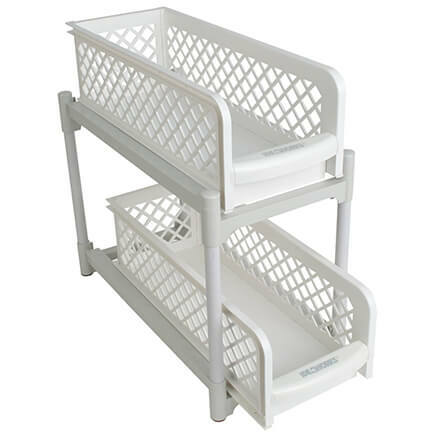 I have used this product for many years but the appliance store where I use to buy it has gone out of business and I was pleased to fine you sell it. The 500 ft. roll lasts forever and it clings so tight and will keep a tight seal. The best plastic wrap on the market! 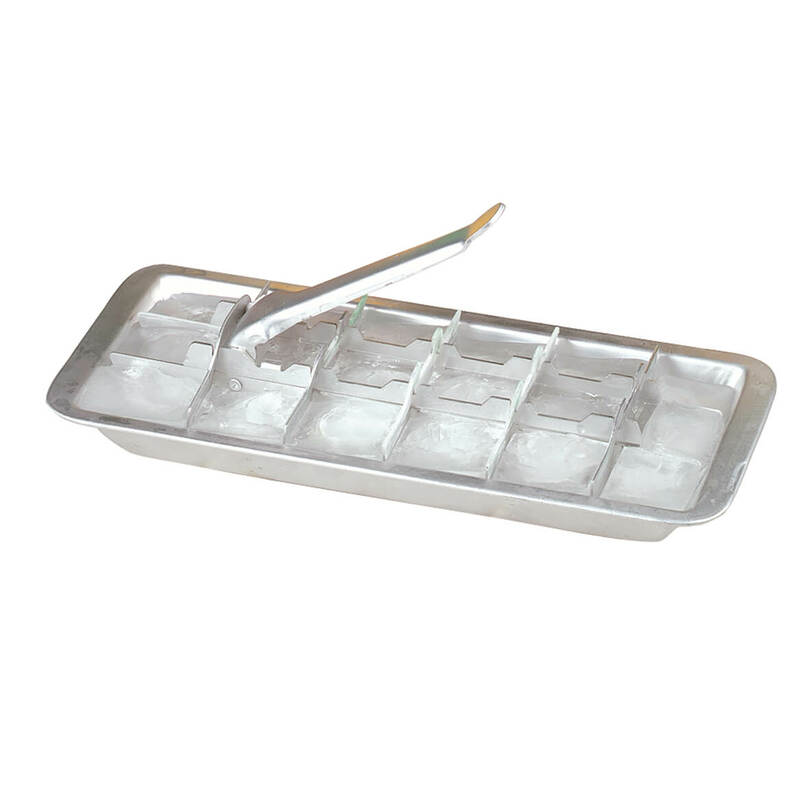 Works great for leftovers, for freezing, for microwaving and many other uses! It is the ONLY clear olastic wrap I use! My parents started using it 20 yrs. ago and it has now become a staple in our family household. 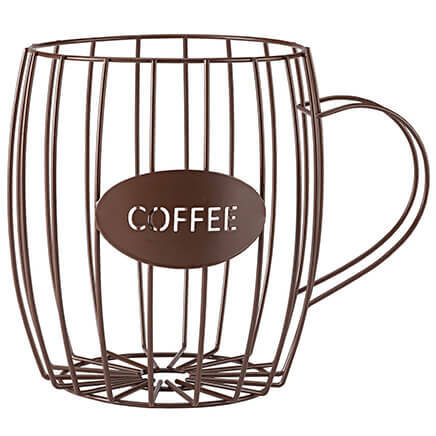 It is great for reheating, transporting, or just storing. It never breaks seal until you break it; and because ir seals so well, there is no waste! You only use the amount needed to cover the dish without excess for wrapping under. Can't live without it! HAVE BEEN USING IT FOR YEARS. BEST ON THE MARKET. I've used Stretch-Tite at my sisters and loved it. I have used Stretch-Tite at my sisters and asked where she bought the product. I loved how strong and how it clings to a dish that it is being used on. Thanks for a great product. It's a BIG roll - so will last a long time. The cutter actually cuts the plastic without a fight. It stretches and clings really well. BUT, my favorite part is that if it folds/sticks to itself you can easily straighten it out. Other brands don't do that. Lasts a LONG time. Love this stuff! This is so much better than anything at my grocery. It really clings and really works. I gave my daughter a box wrapped up for Christmas and she now won't use any other either! This product is a great buy! IT'S A GREAT PRODUCT. WOULD BUY IT AGAIN AND AGAIN. This wrap is hard to find in stores....so I am glad to be able to order from Miles K. The wrap is easy to use and sticks so much better than the ordinary wraps. It creates a good seal. I have used it for years. I use stretch-tite to cover food dishes to store in refrigerator and also for wrapping sandwiches and other foods for lunches. 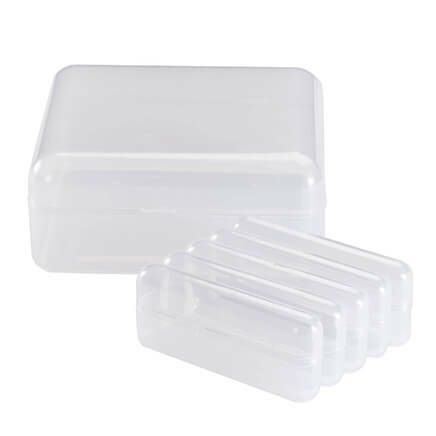 I use the product to cover food for refrigerator and freezer. Protect empty dishes that have been cleaned that were left at our home so they may be returned to owner clean. I really like Stretch Tite and it is the only plastic wrap I have used for years. If you look in your files, I have ordered from only you. I ordered more than one each time because I gave a roll to my friends and now they are hooked on it, and my kids and their families. Stretch Tite sticks when I want it to, and I can get it apart. I can use it over and over. One roll can last one whole year or more!! I love it!! The best out there. "Fantastic"
THE best plastic wrap period. Simply put, this is THE best plastic wrap ever. I won't buy anything else. This stuff sticks to where you put it. Use on: Entrees/Salads/Dessert items. Leftovers. Adheres most containers I've used on so far. This wrap is excellent however I have purchased it from other retailers and the box has a cutter on it which makes it so much more convenient. The tear off edge just isn't effective. love this wrap. Been using it for years, always purchased from YOU! The name says it all! Stretches and stays tight. Love it! Best plastice wrap I have ever found. I have been buying this for years. It works so much better than the stuff in stores! Is the best plastic wrap! The best wrap on the market. I have been using this for years. To me it's better then what is in the stores. previously bought something similar from Amway they do not carry anymore couldnt find replacement on internet so am trying your product. Love this product. Have used it for years. 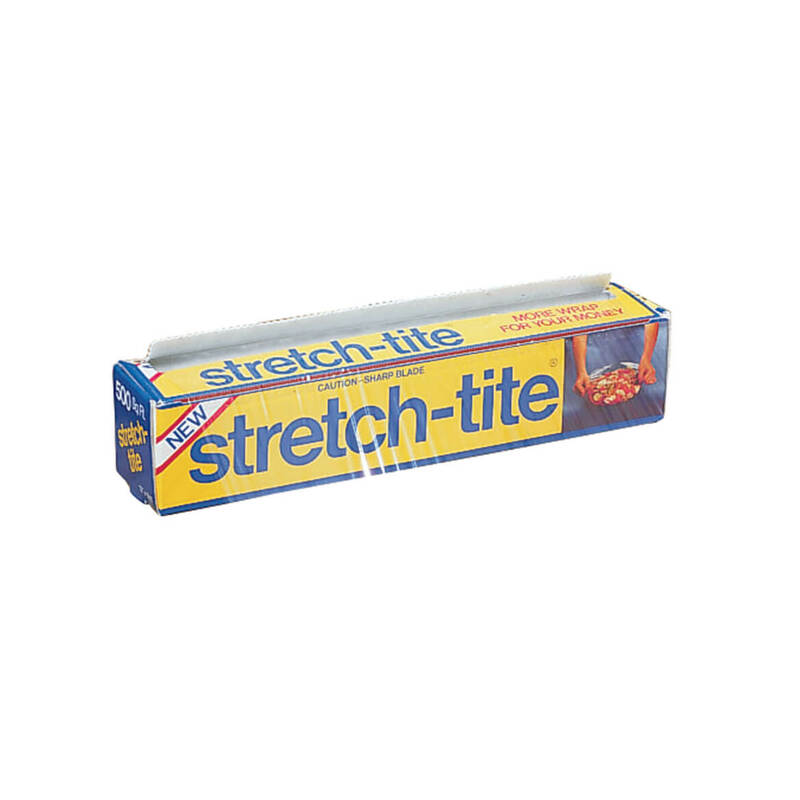 I love this stretch tite it works better than any I have used and do not want to run out. Have been using Stretch-tite for years and really prefer it above all other wraps, However, we have been unable to get the larger roll in our local stores and prefer the 500+ roll. Reviews sounded very good. Have been looking for a good plastic wrap that really works. this is the best wrap. This is a quality product. No other brand works as well. Have been using for years. 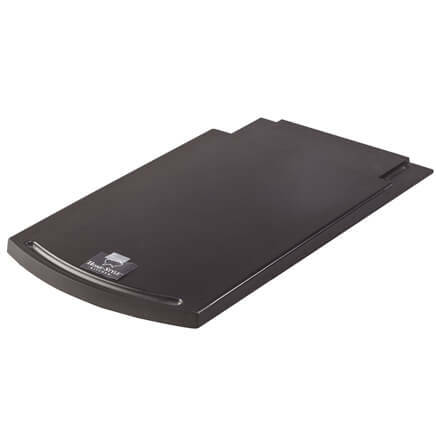 Works great when wrapping on dish to store food. It actually stretches to make a tight seal on dish. It is Fabulous!!! I keep it in my pantry always. It is the best plastic wrap I have found. I've used this product for years. It really can be stretched to the limit and it does not tear. The cutter is very sharp, so be careful with that. best plastic wrap I have ever had. I haven't bought in years because it lasted that long. Hope same great quality! I saw A package like this at my sister, and I found it. Have not been able to find a good plastic wrap. I am hoping this will be it. the ones you buy don't stick no matter how hard you try. BEST ANSWER: Thank you for your question. The box is 13" L X 2 3/8' W x 2 3/8" h. We hope this information will be of help to you.